Choose this itinerary and you will be able to see all the beaches of Mykonos from a totally different perspective. You will get to know the jet set venues and the nature’s rich heritage and eternal Cycladic beauty. Enjoy your privacy at secluded private beaches & bays, while do not miss the chance to feel the vibes of the always vivid Mykonian beaches. 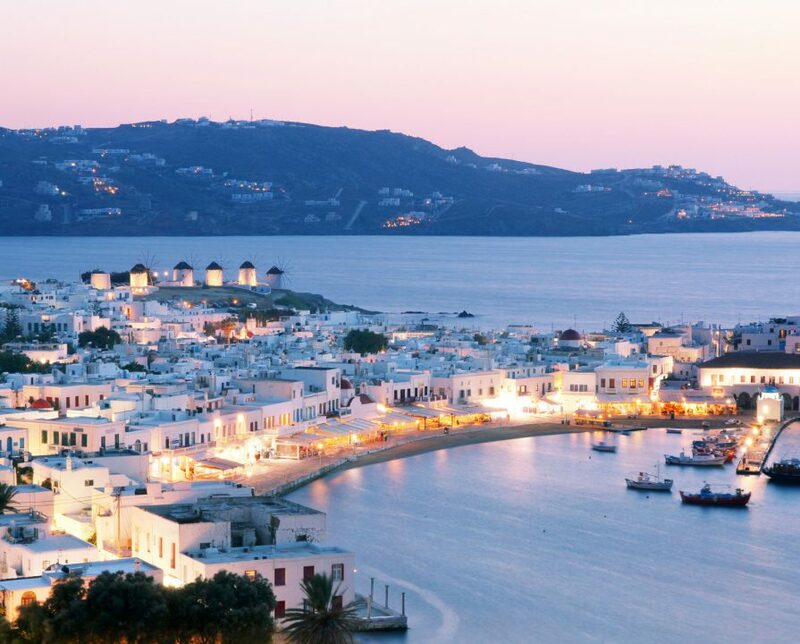 You will see a whole new angle of Mykonos, one that you would have never imagined existed. Having as a starting point Platis Gialos Port, we cruise at low speed so as to view the VIP beach of Psarou. We continue our trip towards Ornos Beach and end up at the last southwestern beach of Mykonos, known as Glyfadi. Then we speed up and sail past the famous southern beaches of Mykonos (Paranga, Paradise, Super Paradise, Agrari, Elia, Kalo Livadi, Agia Anna, Kalafatis, Lia and Fragia) and head off towards the uninhabited isle of Dragonisi, reachable only by private yacht. Dragonisi is a protected nature reserve and a haven for the monachus-monachus seal. There we stop off to enjoy a swim at one of the most unique and beautiful beaches of this isle. Snorkeling gear is provided for those seeking to explore the beautiful underwater beauty. On our way back we stop at Agrari Beach for more swimming and snorkeling in the blue sea or for water sports for the more athletic ones. Our trip ends at the port of Platis Gialos. One of the major advantages of this itinerary is that it is not affected by the weather conditions as the yacht cruises close to the coast.